We have family photos on Monday. They were supposed to be newborn photos, but my body kept having the nerve to get sick, so they kept getting postponed. Granted, 6 weeks is still pretty stinkin’ newborn, but the twins are kind of past the sleep-absolutely-constantly, ultra-squishy phase. Their eyes are open a lot. They can keep their heads up a fair bit. They’re just as likely to “punch” each as snuggle up when you pose them together. So I’m not exactly sure how it will go. Plus, I figured, just to up the craziness factor, we’d throw all 5 of the rest of us in there (holy smokes, there’s a lot of us now! ), so I’m guessing our gauge for success will be how many people (besides Mama) are crying at the end of the session. We’re using Kelly McDowell again (brave woman), who did our oh-so-fun prenatal shoot, and I am trying not to stress about the fact that I don’t have a lot of great ideas for shots. For the prenatal shots, I knew pretty much just what I wanted. But I feel a bit stumped in the newborn department. So, of course, I turned to Pinterest. They’re all crazy-cute. But I think I may not do this look. Mostly because both girls weigh over 9 lbs. each now (hooray for nursing! ), and I don’t think I have a container big enough to house 19 lbs. of babies (I’m pretty sure the bottom of that big paper bag I have in the kitchen would fall out anyway). ANYhoo, I’m sure I’ll come up with something by Monday, but this is my official invitation to you to send me your family photos and/or newborn pics, so I can shamelessly rip off your ideas get inspired (and oooooh and aaaaah at your photogenic-ness, of course). You can email me or even attach them as images in comments. and these cute gift card holders from Wendy Mac Designs. and this gorgeous fall centerpiece from Zu Haus at Home. 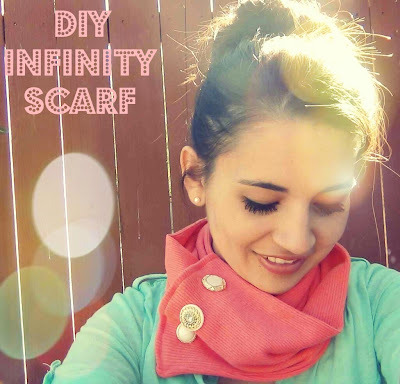 and this fantastic fall banner/garland from Creatively Living. 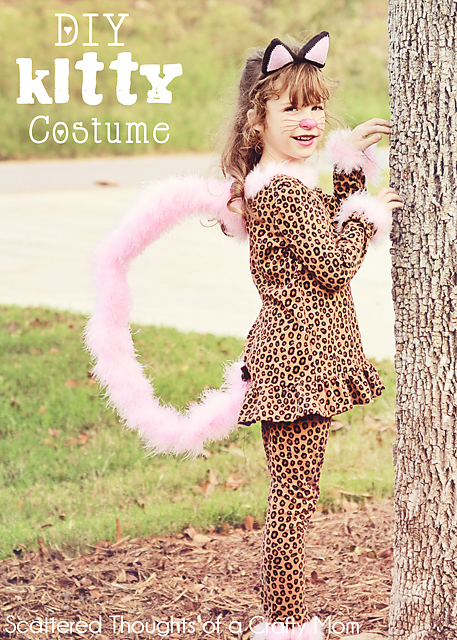 and, finally, this too-cute DIY kitty cat costume from Scattered Thoughts of a Crafty Mom. Y’all are so stinkin’ creative! And I have no doubt you’ll blow me away again this week, so let’s get to it, shall we? Thanks for hosting! I’m sure your family pics will be adorable just because of the people in them. Have a great weekend! Thank you for featuring our kitty costume! Have a great weekend! You have such a nice family… I look forward to seeing your family pics. Thanks for hosting the fun party, too! Ok.. so my kids never were put in a bucket, or basin, or any of those posed anne geddes inspired shots. I wasn’t that creative…. but you are… so I am thinking old washing basket you know the old ratten ones… cant wait to see the results of the photo shoot. Can’t believe the girls are 9lbs. Babies grow up sooooo fast. Beautiful baby photos! Thanks for the party, Abbie! I have absolutely no thoughts for you Abbie. I’m afraid I went the standard Sears route when I had my daughter’s pics taken. Creativity is NOT my middle name. I do remember when we had her 8 month shot done she fell off the chair they put her on! Ouch. So please don’t put the twinsies on any chairs ; ) Can’t wait to see the results!